Diploma in Inclusive Education from Spastic Society of Karnataka. Possess over 18 years of professional experience in the area of Education, Training, Counseling and HR. Early Child hood and stages of Child Development. Behavior Management, Learning and Teaching Styles. Temperaments - Child Centric Classrooms. Holistic Development and Language Development. Communication, and professional development of Teachers. B.Ed in Hindi (Parangat), Agra Hindi Samsthana. 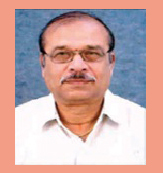 Has also served as a Principal of Veda Vijnana Gurkulam for 12 years. 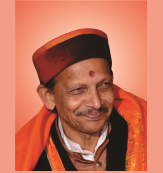 Served as Professor of Advaita Vedanta in Medha Dakshinamurthy Sanskrit College, Gokarna, Uttara Kannada Dist. Karnataka. Served as a visiting professor to CANARA Inter Disciplinary research Centre, Mangalore University. 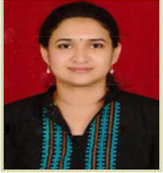 Bhavani Chandrashekar is a B.Sc, B.Ed, M.A (Lit), Has done Special Education at KPAMRC, Guidance and Counseling at IGNOU. She has over 30 years of experience in Teaching and mostly in Special Education. Has been associated with Kumaran’s School for a long time handling students, parents and Teachers and offering Special Education Services. She is passionate in helping children with Learning Disabilities and who needs special attention. In her own words, she says that “ I wish, she could say that I have evolved in to an educator who is special enough to work with these special children. Every day with them is a special learning experience. She is committed to every child in her care. 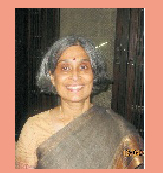 Gayatri has been in the Education field for nearly two decades now and is passionate and interested in Early and Middle childhood care, Development and Education, Teacher Training programs, Parenting skills training and counseling, Early intervention and Remediation, Curriculum development and Program planning. She has done her Ph.D., in Psychology (1994), Dept. of Psychology, Bangalore University, Bangalore. Research entitled “A study of some factors influencing cognitive and social development of preprimary school children”. M.Phil. in Psychology (1993) Dep’t. Of Psychology, Delhi University, Delhi. Qualified for the UGC-NET (1991) for JRF and Lectureship. 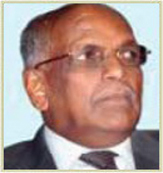 Consultant Psychologist, Spastics Society of Karnataka (July 1998 – August 2000). 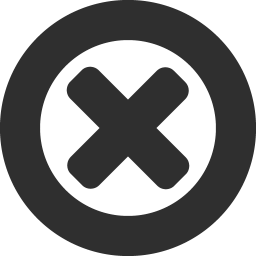 Senior Consultant Psychologist in the Spastics Society of Karnataka, Bangalore. Responsibilities included- setting up and coordinating Joyful Learning Center – an Early Intervention Program for Special needs children aged 0-6 years; assessment for children with learning disability and developmental delays (June, 2002-Feb, 2007. Has handled various assignments with Institutions of repute like TVS School, Tumkur, India International School, Bangalore, Selaqui World School, Dehradun, Ministry of Education, Government of Maldives. Has associated as a Consultants with many Institutions viz., Blooms Academy, Satna M.P., Vidyashilp Academy, Bangalore, Cambridge Group, Hunsur, VVIS, Bangalore, Doodle Toons, Bangalore, Edurite to name few. Varada Murthy (VM) is an Entrepreneur specialized in HR and Education Management. He has Masters Degree in Education from Rellington, Post Graduate in Human Resources from Bangalore University, Business Management from Narsee Monje Institute of Management, (NMIMS), Mumbai and is a Commerce Graduate from Bangalore University. He is currently pursuing his Ph.D.
With over 20 years of professional experience in the area of Human Resources and Educational Management in various MNCs within India and abroad, he has founded PFHRC Services Pvt. 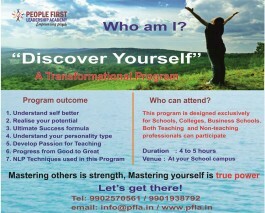 Ltd., and People First Leadership Academy, with a mission to Empower People. He is passionate in helping the youth unleash their true potential through life transforming Life and Leadership Skills, and a unique. Involved in a mega project, funded by the World Bank for Karanataka State Government Health Department Employees – About 35k employees have been trained on “Attitudinal Change and Managerial Capacity Building throughout the State. 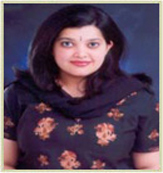 Archana Bhat is a qualified and experienced Psychologist with specialization in Clinical Psychology. Practicing child and family counselor , Practicing Psycho Therapist, as a Faculty at Counseling Colleges, teaching Teachers and parents dealing with topics related to related to educational problems, problem children, parental problems, adolescent issues, learning disabilities, memory and concentration, dealing with examinations and other issues. She is a B.A. in Psychology and English Literature, M.Sc. in Psychology with Clinical Psychology specialization. Post Graduate Diploma in Hospital and Health Care Management and Medico Legal systems from Symbiosis Institute of Health Care, Pune. Although an electrical engineer by profession, he made his foray into teaching and has done pioneering work in teaching and learning practices. His Experience in the industry and his passion for teaching and learning has created in him a zeal for making TLP simple, fun and interesting. 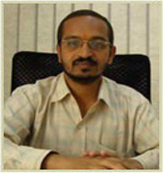 Many creative modules on mathematics, QA and Analytical skills, teacher training are developed by him. His wide ranging interests form Indian Philosophy, Yoga, teaching of mathematics and teacher and student training in various aspects of teaching and learning. He also specializes in thematic and concept based teaching of physical sciences. In association with DSERT he had trained Master Resource People of Dept. of Education, Govt of Karnataka in CCE. Directly or Indirectly he had trained more 2 lakh teachers of Govt. of Karnataka in CCE. 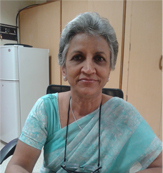 Shubha is very passionate of empowering students to be motivated intrinsically for lifelong learning. She believes that every child has great potential to be stars of their life and it is the duty of the teachers to nurture that hidden potential. To bring about this confidence in students, Shubha is keen on working with teachers to help them with classroom communications, classroom management, and to develop the positive and holistic approach to teaching. Shubha comes with over 12 years of corporate experience in the IT industry. She has over 8 years of experience working with teachers and students alike. Her interests are in out-ofclass experiential teaching/learning, multiple intelligences, and differentiated teaching with focus on child psychology related to learning. 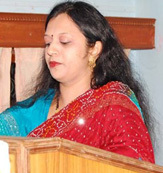 She holds masters degree in Physics from Karnatak University, Dharwad, Karnataka; Master’s degree in Computer Science, University of Houston, Clearlake, USA, and B. Ed from Bangalore University. 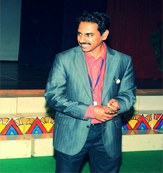 Y P Rao brings with him over 25 years of experience in Educational Services, Training and HR services. He has a strong business acumen and ability to link Training to business needs. Has experience in managing the entire gamut of Training from Need Analysis to Preparation of Training Calendar, Course Designing, End to End resentation and management of Programs, Evaluation of Effectiveness of Training and Budgeting as well as developing co-Trainers for Succession. He has a Post graduate in Economics, Banking & Commerce, P.G. Dip. - Management. He has also underwent many short-term programmes in man management with institutions such as ASCI, I.I.M-B, NIBM, LONDON BUSINESS SCHOOL, ICFAI. Rao had an excellent track record for over 25 years. He has served as a Professor in Bombay University for 12 years and has held a position of a DEAN and Principal in M.S.Ramaiah Institute of Management. He was the HOD in P.G. Centre in Nandyal - S.K.University and a Principal of a leading Management College in Secunderabad. Her Passion – Promote overall development to help individuals enjoy a happier, fruitful and stress free life. 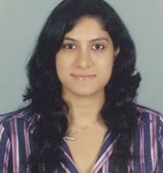 Rakshita Satishchandra comes with 7 + years of experience in Sales for the Hospitality Industry. Her experience in the Corporate world has given her the edge of understanding what the customer wants and how to achieve excellence in the service industry. While her focus at work was on increasing revenue, she simultaneously expanded her focus to work on client retention as well. She also comes with almost a decade of experience of counseling both children and adults alike. This has been an outcome of her mastery in Tarot Card reading and Reiki healing. She has helped children in shaping their overall personalities to face the world and is very passionate working with children. Uma Ravishankar has about 12 years of experience in different aspects of HR, ranging from recruitment to training and generalist profiles. She has worked with some of the best companies such as IBM, Target and Broadcom in various roles from junior to senior levels and had gained acclaim as a seasoned HR professional. Uma’s focus has been on employee development and engagement. As part of her deliverables, she offers behavioural skills training on a multitude of skills that are necessary to succeed in today’s competitive world. She is also a Professional Speaker in training. Uma has greatly benefitted from her double Masters. 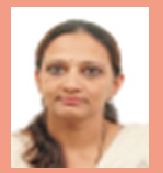 She has an M Sc in Psychology from Bangalore University and an MBA from De Montfort University, UK. 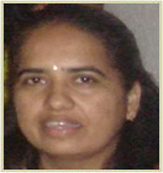 Mrs.Saroj Rao is a B.Sc/B.Ed and has done Pre-Primary Teachers Training (PPTT). In addition she has also undergone the Instructor Training Program conducted by Karnataka Parents Association for Mentally Retarded Citizens (KPAMRC). She has 26 years of experience in teaching, counseling, administration and marketing of schools with reputable Institutions in India & abroad. She believes that hard work, interest, willingness and sincerity in what one does is the key to success. Rajashree Kesavan has graduated M. Sc in Psychology from Bangalore University and is pursuing a Diploma in Early Childhood Care and Education. Specialized in Organizational Behavior and equipped for Psychometric assessment, Rajashree ventured into Training and Development as a novice. Led by her passion and love for children she has worked in Education for about 5 years, teaching English at pre-primary and primary levels. Awed by the potential for learning and the vastness of cognizance language arts possess, she is determined to learn and excel the domain of teaching language arts. Rajashree has designed and created supervised after school programs for children, has spoken on parenting and related topics in welfare associations, designed training modules for organizational skills, developed content for early leadership programs for children, has written quite a few poetries; some of which have been published by schools as their gifts to students, her articles are hosted by a few passionate bloggers in the domain of education. 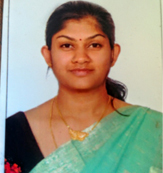 Rajashree is now associated with PFLA in her capacity for training in language arts and operates out of Bangalore. 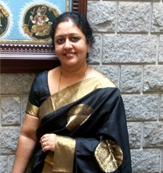 Deepa Ravichandran is the Founder Principal of Floretz Academy. She is a Post Graduate in Industrial Electronics who went in to the education sector in line with her calling – passion for children. She holds a diploma in Primary and Elementary Montessori education, diploma in Special Education and “Language and Communication Training” from Hanens, U.K.
She has 2 schools, one at HSR Layout and one off Sarjapur Road that is currently rated as one of the best schools in Bangalore. 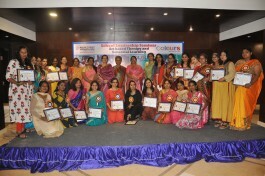 She was also involved in training Primary and Elementary Montessori teachers as part of the Indian Montessori Centre. She is involved in setting up Montessori environments in different cities across India. 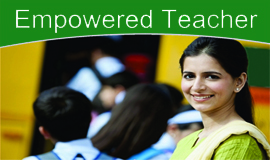 She is a visiting faculty in many teacher training institutes. She says that she views her job as “sculpting” the future generation of India. She is married to Ravi and has two daughters. Her hobbies include Gardening, music, reading books, painting and yoga. She feels that her family and her students are her life’s best gifts. She finds solace in relating herself for a social cause. She volunteers with NGO’s like SOS and Isha Yoga center (In their Isha Vidya schools).